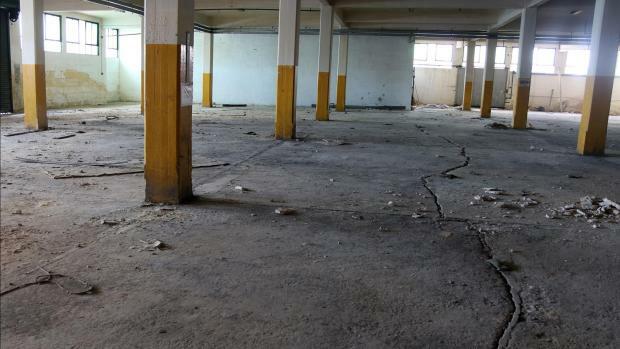 Enemalta contractors today started demolishing parts of the former Sea Malta office buildings in Marsa, saying that they were "removing unsafe structures that were at risk of collapsing". The site of the building was added to the Menqa concession, for which 16 bids were submitted. 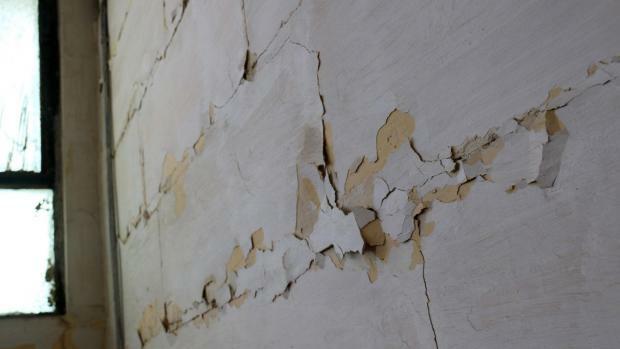 However, Enemalta seems to be on a different track, saying that it would be conducting further studies to review the stability of the entire site, and "to determine future use, once the dangerous structures are removed". In recent years, parts of this building, situated at Flagstone Wharf in the Inner Grand Harbour area, were used as a warehouse. However, other parts of this block have been in a state of disrepair for over a decade. "These structures were constructed on metal columns embedded on reclaimed land. 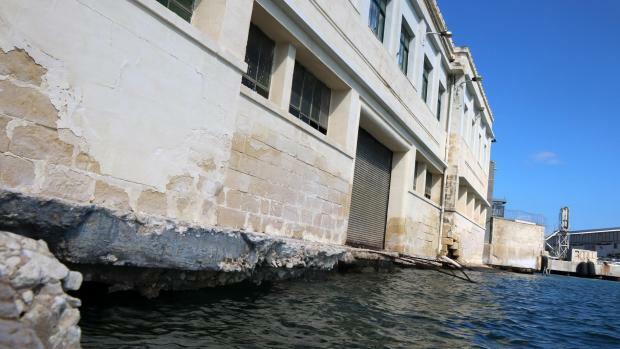 After years of sea erosion, these foundations are now subsiding," Enemalta said. The company’s architects, in collaboration with the Planning Authority, identified parts of this dilapidated building which were at risk of falling onto nearby properties, or in the sea. Demolition works started today and will be completed within a few weeks. Several measures to mitigate noise and dust difficulties are being taken to minimise inconvenience to nearby residents and businesses.